A diary is a private place where you can keep your thoughts, feelings and opinions on everything from work to school and everywhere in between. There are all different types of diaries, like food diaries, health diaries or academic diaries. But your diary doesn’t have to be specific if you don’t want it to be, it can also just be a place where you write about whatever you want. If you’re just getting started, maybe you haven’t decided what you want to write about, and that’s fine. That is what we are here for – to help you with all those moments of writer’s block you may be having. Our tips can help guide you and inspire you. Let’s begin! To start a diary, all you need is a willingness to write. Start by figuring out what you want to write in your journal. If you aren’t sure, simply start writing and see where that leads. It can also be useful to set a time limit in your early writing sessions. Set an alarm for 10 to 20 minutes and start writing. Keeping a diary is a great way to record your growth and personal development. More entries will allow you to look back and see what has changed over time. The earlier you start, the more grateful you will be later on. Writing can be hard and getting started is usually the hardest part. If you feel like you don’t know how to write a diary entry, don’t stress over it. You can start writing about anything. You can even write about how you can’t think of anything to write. Once you start getting words out, they will start to flow naturally. First, you need to decide you want to start a diary. Once you have decided you want to dedicate time to creating a diary, starting one will be easy. These are just a few ideas to get you started, but if you would rather keep your diary more general, it is totally up to you! Starting a diary requires that you write in it frequently, but it is up to you to decide how frequently you want to write in it. Whether it be once a day or once a week, create a schedule that you can adhere to. The more you can make writing in your diary a part of your routine, the more comprehensive and helpful a practice it will become. When you have decided what you want write in your diary, decide on a writing schedule that is appropriate for the topic. For example, if you want your diary to be general, maybe you want to decide to write in it at a certain time everyday, like right before you go to bed. If you want your writings to be more specific, like about food, maybe you will write in it every time you cook or find a new recipe. Make your schedule work for you and your topic. It is easy to get carried away and write too much when diary writing. A way to stay concise and on track is to set a time limit for your writing. Depending on how much you want to write, set a time limit that reflects that. Somewhere between 30 minutes and an hour is ideal. If you feel like you want to spend more time than that, feel free. The great thing about a diary is that you are able to look back through it and see how you have progressed over time. It is important to date every entry you write. Luckily, Penzu dates your entries automatically. For your first diary entry, try to write an introduction to what your diary will be about. Introduce yourself, what things interest you, what you think it important and what you want this dairy to be about. Open up and be yourself. Wondering how to write a diary entry? The best way to write is as if you’re talking to your best friend. This is your personal diary, for your eyes only, so you should feel comfortable writing as if you’re talking to a trusted companion. As cliché as “Dear Diary” may sound, it can really lead you in the write direction in terms of the tone you should be writing in. The goal of a diary is to discuss things honestly and candidly, as if you were talking through them with a best friend or family member. Writing in your diary should never be a chore or a burden, so remember to have fun with it. It can be a place of solace, a place of creativity, a place of reflection, a place where your thoughts can roam free. When starting a diary, make sure you are writing about things you care about and are passionate about because. As long as you enjoy what you’re writing and the process of it, you will never miss an entry! Diary entries can be long. They can be short. They can be specific. They can be broad. Whatever type of diary you decide to write should relate to the entries within it. Take a few minutes before you begin writing to decide what you’re entry is going to be about. Hopefully you have already decided what your diary is about, so dig a bit deeper into the topic or topics you have decided to focus on and get specific. These can relate to your general life, or specific parts of it, but turn inward and ask yourself things. Your diary entry can be your answers to the questions you have asked yourself. This is a great way to get writing when you don’t know what to write about. Your entries can be in all different types of formats, depending on what you’re writing about. Maybe you are making a list of things you want to accomplish in your future. Maybe you’re writing about a conversation you had, or wish you had. Maybe your entry is just bullet points of thought you have had that day. Some people prefer writing in short notes, others like writing in detailed paragraphs. Decide what you enjoy most and go for it. Try and have a variety of different entries, so you don’t get bored. You may be writing about a certain type of topic, but you never want to write the same entry. Differentiating your entries will also highlight progresses you’ve made and things you have learned. Your diary is a judgement-free zone, so don’t feel like they need to be perfect. Let the words flow. Your entries date themselves, so you know when you write what, but also try and keep your thoughts in order. Your diary will become a journey as you add more entries, try to keep the narrative something you can follow. For example, try to write about events in the sequence they happened. Avoid jumping around. Your entries don’t just have to be words, Penzu also let’s you add pictures. Adding some visuals to your entries will add some colourful and vibrant reminders. Penzu offers easy-to-use diary software, so you can create a digital diary that can be accessed anywhere. Go to Penzu.com to create a free account. Create a login and password you will easily remember. Design your online diary to reflect your personality and your diary’s topic. Give your journal a meaningful name. Adjust your privacy setting to suit your preferences. Choose ‘New Entry’ and begin writing! Look forward to starting a diary. It is both a fun and productive habit. Reflect on yourself, the people around you and what you believe is most important. Once you look back, then you can move forward. Unstructured writing is probably the best way to start writing. Once you get into the habit of keeping a diary, you will then feel more comfortable with structure. A diary is a personal journey and should not be compared to any other writings, but here are a few way you can get the most out of your experience. Your diary is for your eyes only, so be honest with yourself. Don’t hide anything or hold back. The more often you write, the better. Don’t try to write a certain way, just be yourself. 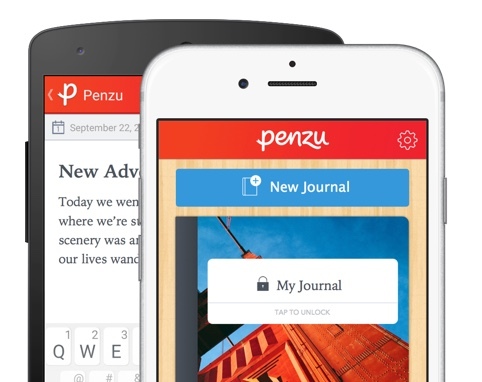 Like we said in the beginning, the earlier you start keeping a diary, the more grateful you will be later on, so sign-up with Penzu today!